Here's your go-to resource for the 2018 holiday season for the quilter on your list (even if it's you 😉)! Pink or blue? Nope, this isn't some sort of gender reveal party. 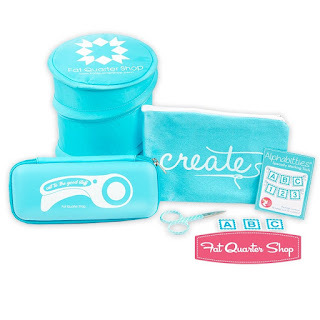 Fat Quarter Shop has color-coordinated, ready-to-go gift sets, full of handy notions bargain-priced by the bundle. 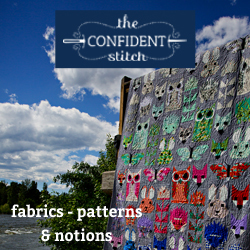 Organization is a quilter's best friend. My new favorite storage solution is my Lexington 3-Tier Rolling Cart by Recollections from Michaels. It was $30, came in a light mint tone, and assembly was so easy that I could manage it in under 5 minutes with my three-year-old helping. 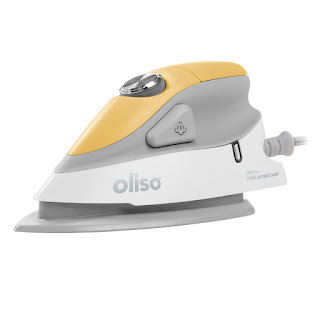 Oliso, the premiere iron brand for quilters, has come out with a compact, lightweight Project Iron. 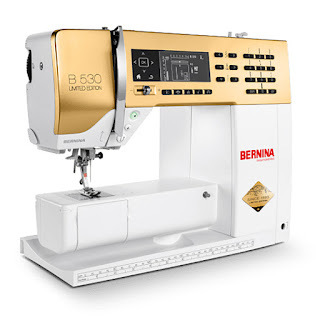 It has the same power as the full-size version, but the Project Iron is especially suited for travel to retreats and classes or for a beside-your-sewing-machine pressing station. Like the larger models, you can rest it in a face down position thanks to the solemate, which also allows the Project Iron to be stowed away safely. It has 8 -minute auto-shut off, a Diamond Coated Ceramic sole plate, detailer tip, and an 8-foot cord. The preorder cost is just $49.99 with free shipping! Choose from pink or yellow. 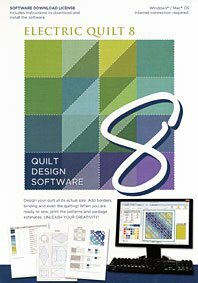 I often get asked what software I use to design my quilts. Even if an idea starts as a hand drawn sketch, I always use EQ8 to help calculate measurements and to see if the fabrics I've chosen will look nice in a finished quilt. EQ8 has a far more intuitive format that previous versions, and I very much appreciate the ability to print out paper-piecing units, fabric requirements, and appliqué templates. A fun addition to the studio is a cutting machine. 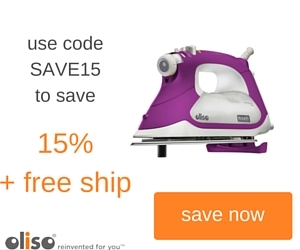 They're great for fabric, as well as other crafting projects. 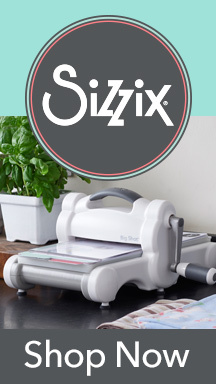 The Sizzix Big Shot Plus Fabric Series Starter Kit comes in under $200. 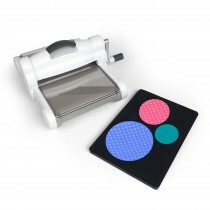 The Cricut Maker has a rotary blade, a knife blade, and a scoring wheel. Accuquilt has a fabric-centric die cut machine, the Go! Fabric Cutting System, with extensive block possibilities using Qubes. What's the most important tool a sewer needs? 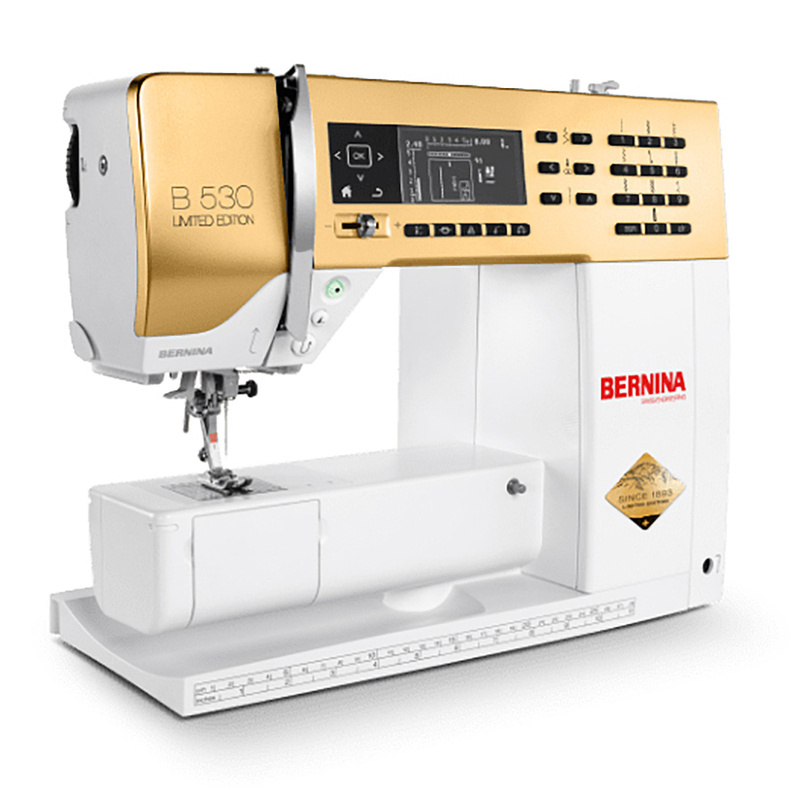 Unless you are the foremost frontrunner of the slow sewing movement and hand sewing everything is your schtick, a dependable sewing machine with great features is going to be your #1. 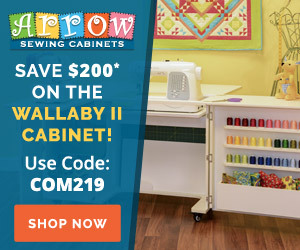 If your sewing machine dreams have already come true, the next best thing is a table that allows your sewing machine tray to be level with the table top. This really helps ease the strain caused by the weight of a quilt pulling out of position during free-motion. 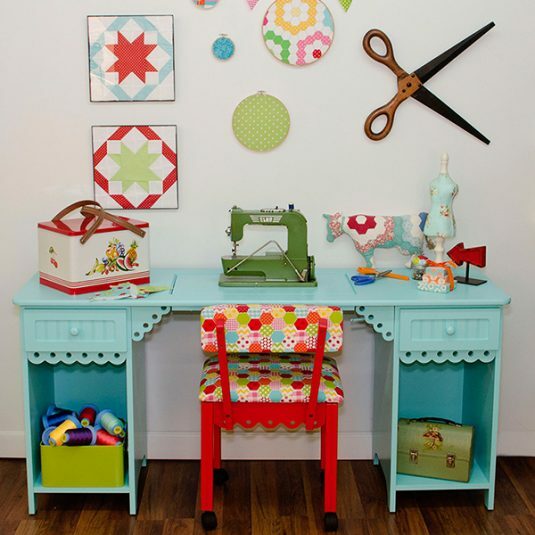 The Olivia Cabinet with optional Quilt Leaf by Arrow has got to be the cutest table I've ever seen. Arrow shipped it straight away, and it arrived in five rather serious boxes. So far I've hauled all five upstairs with the help of my husband and opened one carefully packaged box. I will let you know assembly goes. I plan to keep their assembly video handy. I adore a gift that keeps giving. A subscription box does just that. 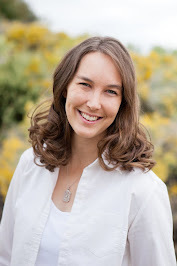 Another option is buying one month instead, which provides the advantage of having a gift curator who is well-versed in the latest fabrics and notions remove the anxiety of choosing. Quilty Box has Classic, English Paper Piecing and Mini Box options. Sometimes the best gift is one that you don't have to store. It's also nice to have some guidance when you want to grow a creative skill. That's why online classes are such a nice present. 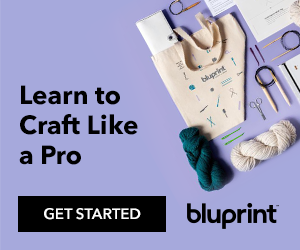 Just choose your platform: Creativebug or Blueprint (formerly know as Craftsy). Actually, you could just pick both, now that I think about it. 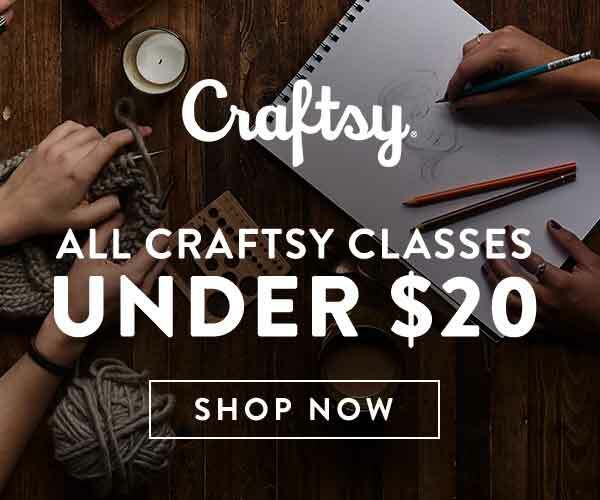 Choose a single class, a single month, or an annual subscription for the best value. That's all for now, but I'll keep this in the bar on the top of the page as I come up with new ideas.